Of all MP3 free software downloads, many are for burning or transferring and converting MP3's to a blank CD. So perhaps after ripping a CD to MP3's on your computer, you may want to back up the MP3's for safe keeping, or play your audio tracks. Your MP3's can be either burned as MP3 data or a WAV file. Both audio formats can be generally played in stereos, portable MP3 players, and DVD players for your enjoyment. Below are free software for burning MP3 files (and other formats). They are available for free download from either the manufacturer's, suppliers, or direct download sites. Bear in mind, that their title names may change, or become trial or shareware, but at this time, were free software to download and to keep for personal use. Image of CD By MPetrila at SXC. It might be better to search online, rather than adding their links - as their corresponding sites might disappear (As I have noticed with many free software), or at times difficult to navigate to find the free version - if it still exists. ISO CD Burner: No installation for this utility, as you drop the executable in to the same directory as the ISO file to be transferred. You need of course create an ISO (i.e. image) file from your MP3's - see ImgBurn. ImgBurn: I believe this is a popular free software to download, where you can also create a ISO image as well as burn it, with optional verification. Supports a variety of CD/DVD writers, and has comprehensive settings to handle advanced features for building, writing, file associations, and more. ISO Recorder: Known as a Windows XP power toy add on, it's a simple right click and flick transfer of an ISO image. Free ISO Burner (http://www.freeisoburner.com/): Has had major update January 2009; Easy to use download software to burn ISO files to various disc formats, including Blu-ray. Supports 64 bit and Windows Vista. Burrn: This is a simple free drag and top drop utility, and burns MP3's and other format, e.g. WAV, as well as the play lists and cue sheets. Burnaware Free: Also a blue ray disc software, and ISO format images. Generally for basic burning requirements. There are also paid versions. Free Burn MP3-CD 1.2 (http://www.nbxsoft.com/): Simple to use burner converter software to convert MP3, WAV, OGG, and WMA audio files to CD. Easy Burning (www.dpaehl.de): Seems to be a basic package, but supports a variety of languages, and performs verification. Easy to back up your MP3 collection. CDBurnerXP: Has a bit of variety - can rip audio CD's, encode MP3's and burn ISO images, as well as create them from other image formats. Also multi- language interface. CDRTFE: Open source burning software to download. Supports audio, data CD's and DVD. Hence supports WAV, MP3, OGG, and FLAC, and has a nice clean tabbed interface, with windows explorer integration. Usefulutils Disc Studio (http://ru.uus4u.com/): Performs most burning functions, including data, video, and audio within a windows type explorer interface. Supports over burning, buffer under run, bootable discs, and multi session burning. Supports MP3, WAV, WMA, OGG, Flac and image formats such as ISO, BIN, UDF, IMG NRG, and others. Active ISO Burner: Basic utility to burn ISO images to various disc types, and includes a batch process for automatic burning of ISO images. FreeStar DVD Burning: Easy to use interface for CD and DVD burning, but with comprehensive functions. Has ISO mode support for burns, creation, overburn and other features. DeepBurner: Also has variety - Can create and burn ISO images, has an CD/DVD label utility for printing, and supports other formats. Includes drag and drop process. Basic burner/decoder software for MP3, WAV, and WMA audio files. Burning Mill Express: Software that supports burning of data CD's, DVD's, audio CD, video DVD's and more. Easy to use, and it's interface is similar to Nero Express (Tabbed and Icons). Totally Free Burner: 100 % free burning CD and DVD software, supporting various audio formats, including MP3 and ISO files. Includes disc at once and multi-session modes. Extra CD DVD Burner Free 6.64 (http://www.npssoftware.com/): Burn easily data (MP3), music, and video CD's and DVD's. Handles a range of drive types (CD-R, CD-RW, DVD+R, ETC, and DVD-Ram). Also build and burn ISO files, and user friendly interface. Final Burner Free (www.protectedsoft.com): Supports a range of audio formats: MP3, WAV, WMA, OGG, MID, and AAC. Includes a ripper for MP3 and WMA encoding. BurnCDCC: Small utility software to burn an ISO file to CD or DVD. Free Easy CD DVD Burner 3.8: Data, video, and audio (MP3, WAV, OGG, FLAC, etc) writing/burning to CD and DVD. includes ISO burning, and converting/ripping CD to MP3 audio files. Burn4Free (http://www.burn4free.com/): Burn data and many audio formats, including MP3 and ISO files. Recent version has added many improvements, including 4 methods of burning, and a DVD copy (or burn) procedure. Plato CD DVD Data Burner free 10.08.02: Burn MP3's to CD, DVD, Double Layer DVD, and supports many drives (e.g. CD-R, CD-RW, DVD, DVD +, DVD_, DVD+RW, and more). Includes images, multi-session and folder/file management. AVS Disc Creator 2.1: Write data (MP3) to CD, DVD and Blu-ray discs. Supports ISO images, multi-session, and projects. 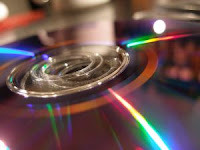 BurnOn CD and DVD Burning Software 3.1.3: Create data (MP3), audio, and video on CD and DVD for back up or to play. Also extract audio from CD and DVD to your hard drive. MP3 CD Doctor Lite (http://www.mp3surgeon.com/): Simple to use burner to burn your CD's after converting from MP3, OGG, WMA, and WAV files. You can sort tracks, and copy track information for a CD label, and has burn proof support. MP3 CD Doctor 2004: Another simple freeware burning utility. Windows Media Player 9 and up: Add your MP3's from the library and click on the tabs to burn your MP3's. So there are quite a few basic to semi advanced free MP3 converter burning software to burn to a CD, either in image format or a direct/converted MP3 or WAV process to transfer to CD. *Use high quality discs if you intend to play them in a stereo/PC/DVD frequently, and check for cleanliness before burning. I use the cheaper bulk discs for short term storage rather than frequent playing. * Best to turn off the screen saver, CD auto start, and other unnecessary computer background processes before burning. They might interfere with the burn process. * Perhaps do not use your computer for intensive or multi-tasks, or better still leave it alone during burning. * If burning the same batches of MP3's again, particularly from multiple folder directories, maybe save the play list, library list, or project list (if those options exists). Then use them to re-burn your MP3's. * Remember to finalize (or check) if the CD has been finalized, to allow the CD to play in certain stereos/CD players. Multi-session discs are generally saved for adding more MP3's later, prior to finalizing the disc. * Might be better to use a slower burn (i.e. write at 2x, 4x, rather than much higher) speeds to prevent errors, particularly if the CD/DVD drive is newer than the computer. The computer might be too slow to transfer the MP3's to the CD drive's laser. * Perhaps defrag and clean out excess data files, registry fragments, prior to burning. Any data transfer might occur from scattered locations, increasing the potential for a burn error. * Do store your CD's adequately - ideally in their own cases. Some of mine have stuck to plastic covers in their pouches, and flaked with blemishes if stored upon one another in a spindle pack. * Consider another additional storage medium for MP3 back up, e.g. a USB drive, flash drive, a server, or a online site (if allowed). Then perhaps use a catalogue MP3 software for easy organization, search, tagging, and retrieval of your MP3's. * Also - When visiting a freeware manufacturer's site for a free MP3 or WAV converter burning software download, take your time. You might accidentally click on their paid "plus" software packages, or an advertisement. I have seen paid versions similar in appearance to the free version, which is some times located and buried at the bottom of the page.